Facing limited scrapbook spaces? Here’s a list of scrapbooking storage solutions to help you “expand” and maximize your scrapbook space. Scrapbookers scrapbook at many places in their homes. From dining table, kitchen table, living room floors to bedroom floors. Where do I scrapbook? I used to scrapbook on a tiny table with my supplies spread over my bed. These days, I have a bigger work desk so I can scrapbook on my desk. Of course like many, I dreamed of having my own custom scrapbooking studio someday, but right now I’ll make do with whatever available space I can get my hands or supplies on. Small piece of “real estate” to work on? No problem. It’s totally workable, and more of a matter of getting creative with scrapbook storage solutions and getting good scrapbooking organization tips. Looking at what I’ve just described above, you now have a clear idea that you can scrapbook anywhere you like. It’s the storing of your scrapbook supplies that will affect your level of productivity. Because if you always have to spend 15 minutes searching for your rubber stamps, another 10 minutes on your beads, and another 10 minutes on your brads, you know you’re wasting precious time. 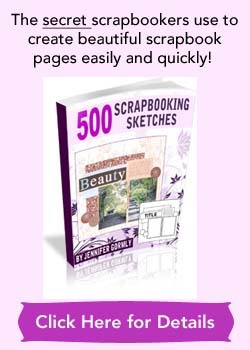 And before you know it, it actually becomes a “hassle” instead of a pleasure to scrapbook. Can’t think of places to store your scrapbook supplies? Look at these scrapbooking storage solutions to get ideas on where you can store your supplies. Empty room underneath your dining table. Use a spice rack to hold your embellishments. Empty the jars and store them with brads, eyelets, alphabets and more accents. Bread boxes and cookie jars for bigger embellishments like rubber stamps, ink and such. Antique library card file cabinets to hold bookplates, wooden letters, and such into the various compartments. Wine boxes to to gather your memorabilia and embellishments and such. Step-up organizers where you can display your supplies like rubber stamps into an artistic arrangement. You can easily glance at all the designs of your stamps at one go and make full use of your stamps. Install wire shelving onto your walls. Then you can put in wooden boxes, horizontal trays and drawers to gather all your scrapbooking supplies in one convenient location. This idea maximize your wall and high ceiling spaces. Do put your least used items on the top shelves and reserve the within easy reach space for your regularly used items. Nail in hanging storage on your walls for cardstocks and patterned papers. Drawer wooden chest tuck into corners of your room. Simply by adding plastic desk drawers dividers, you can store your small embellishments and divide them up neatly. Put rolling carts and tote bags underneath tables. If you’re willing to invest in a few pieces of good-quality, creative and efficient scrapbooking storage systems, here’s a list of the most sought-after and highly-rated organizing systems to help keep your scrapbooking area tidy, efficient and looking good. You can find all these at Scrapbook.com. Use available furniture and space to scrapbook. When I started I scrapbooked on a tiny space, I made use of the edge of my bed and the space on my bedroom platform to spread out the rest of my scrapbooking supplies I needed to use. Keep all your similar scrapbook supplies in one place if you’re storing your supplies in several locations. Back then, I kept all my scrapbook papers in my closet, my scrapbook supplies in a plastic storage box with dividers and my embellishments in a paper storage box. Now, I store my papers on my bookshelf behind my desk, and my embellishments in a A4-sized 3-tier plastic chest of drawers on my desk. Keep your work-in-progress layouts out in the open so you can always go to work on it whenever you can find pockets of time to do it. I tend to finish up each layout that I started on so I don’t have to put it aside. But that’s because I enjoy uninterrupted scrapping time (this totally changed when my son came along!). If time is a big issue, consider this option and you can pick up from wherever you left off without having to unpack all your supplies again. Have a thick piece of glass customized. Place it over your scrapbooking layout and supplies whenever your family want to use that table. It saves you time putting everything away and you can just remove the glass and pick up from when you’ve left off. 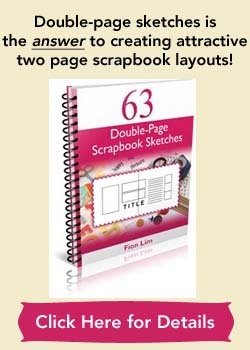 Create individual “page kits” where you pull all the supplies such as photos, papers and embellishments for each layout and place them into a page protector or folder. So you simply pull out each page protector or folder which readily hold all your contents, and start scrapbooking on the layout you desired. Take a look at these useful Cropper Hopper Paper Organizers . Label your folders to help keep track of your progress. Labels such as “getting started”, “in progress” or “almost done” on your folders will let you know right away the status of your projects. Hope that these scrapbooking storage solutions will open you eyes up to a whole new world of scrapbooking storage possibilities! 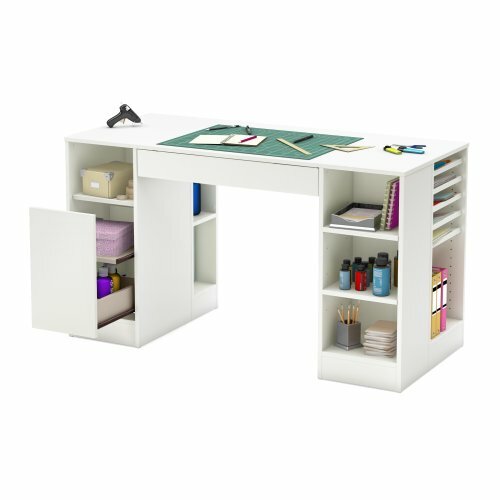 If you want to look at some effective scrapbook storage solutions, be sure to check out these scrapbooking organization from Scrapbook.com.